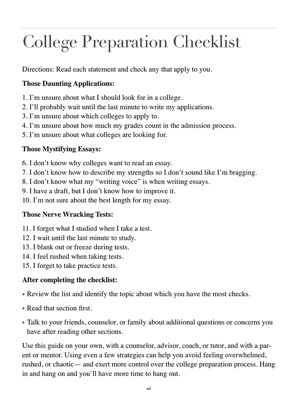 This friendly, step-by-step guide helps students and their families get a grip on the confusing and complicated process of getting into the right college. 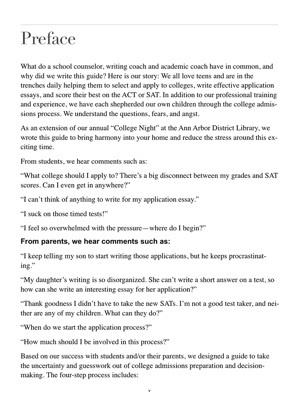 Three experts provide strategies to tackle those daunting college choices and applications, write those mystifying application essays, and study for those nerve-wracking college admissions tests. 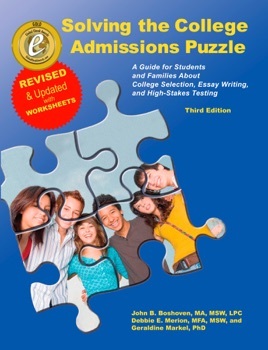 Practical advice to make the college admission process successful, sane, and — yes, even enjoyable.